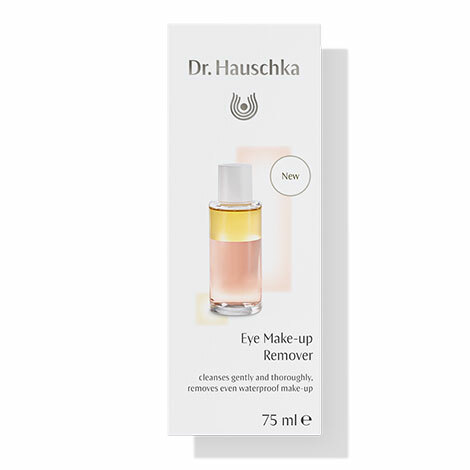 Limited offer: Dr. Hauschka Eye Make-up Remover with two organic cotton make-up remover pads as gift. The Eye Make-up Remover gently and reliably cleanses the sensitive skin in the eye area – removing even waterproof eye make-up. In the same step, it cares for the skin with light, fast-absorbing oils, leaving the skin feeling pleasantly cleansed and silky smooth. The composition with precious rose water and nourishing plant extracts of eyebright and fennel harmonises and soothes the particularly delicate and sensitive skin in the eye area. Premium-quality sesame and sunflower oils nourish the eyelashes and eyebrows as they preserve the skin’s natural hydrolipid layer to leave it feeling relaxed and carefree. This dual-phase composition reliably cleanses the delicate eye area to leave it free from both water-soluble and waterproof make-up. 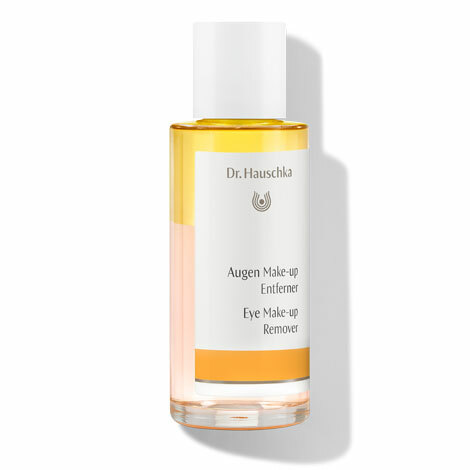 Shake the Eye Make-up Remover before use to combine the oil and water phases. The excellent compatibility of the Eye Make-up Remover has been confirmed in opthalmological and dermatological tests. Protect against light and heat. Moisten a cotton pad and gently apply from the inside to the outside of the eye, leaving it on briefly if necessary.